We checked in on a Thursday night and chose valet parking, costing $16. The small lobby is next to the King Bar & Bistro, which serves breakfast, lunch and dinner. The highlight of the evening was the live music. Local musicians played classic standards and romantic moonlight love songs while a couple danced on the postage-stamp floor space. The friendly staff gave us keys to our second-floor standard king-sized room. Taller-than-average ceiling heights made the room feel larger. The color palette was a soothing muted gray with lilac and sage green. The faux wood floors added warmth and are a great choice for those with allergies. The headboard is an abstract photograph of reflections on the water. 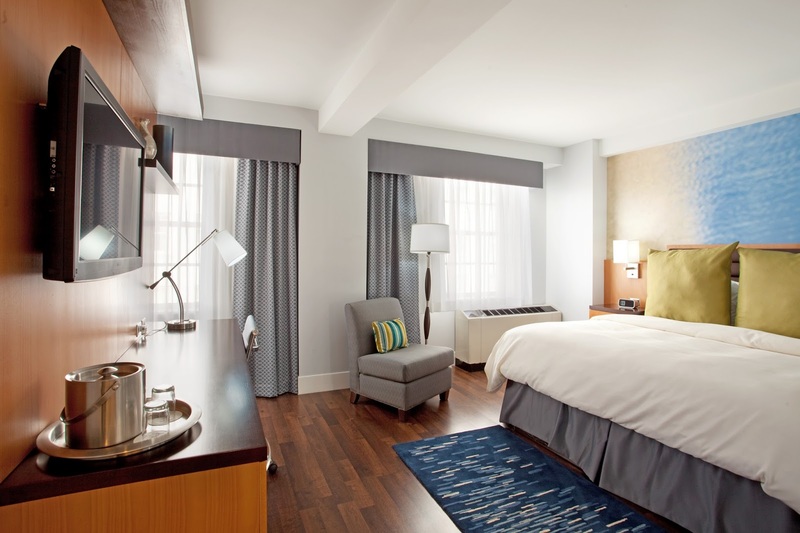 Guestroom amenities included complimentary Internet, a coffee/tea maker and a USA Today. The hotel has a small business center as well as a fitness room. 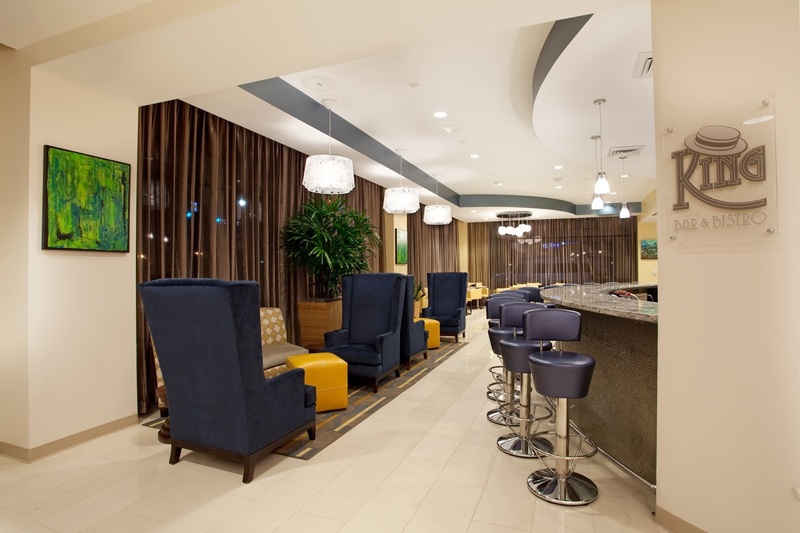 If you are visiting Baton Rouge, we recommend the Hotel Indigo. It’s the small, friendly, green hotel with the furry mascot perched in the window. Note: this review was originally posted in Global Traveler magazine&apos;s e-newsletter, eFlyer. Jim and Barbara Twardowski cover the travel industry writing about boomer and accessible travel, accommodations, culinary/cultural offerings, and destinations. Their work has run in AAA Home & Away, Country Roads Magazine, CruiseCritic.com, Louisiana Cookin&apos;, AAA Texas Journey, FamilyVacationCritic.com, PeterGreenberg.com, Quest, Global Traveler, and VisitBritain&apos;s Super Blog.